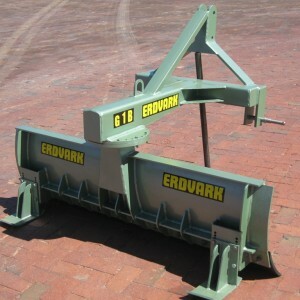 This Grader is ideal for the maintenance of farm roads, manure grading and small farm leveling. 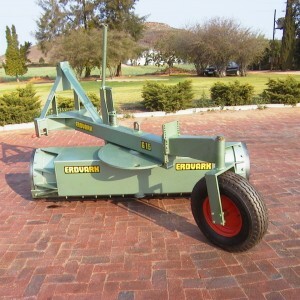 The Grader blade can rotate 180º for backwards pushing. 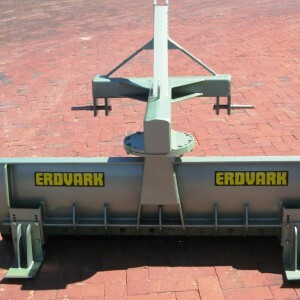 The Erdvark G2 three point hitch grader is ideal for maintenance of farm roads, leveling irrigation fields and ideal for manure grading and pushing manure together. The blade can rotate 180° for backwards pushing. The Erdvark G5 grader is ideal for the maintenance of farm roads, leveling of irrigation fields and is ideal for manure grading and pushing manure together. The blade can rotate 180° for backwards pushing. 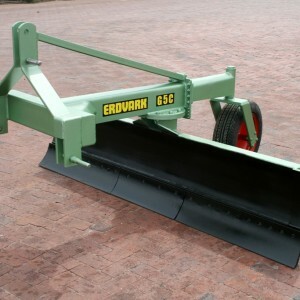 This Heavy Erdvark G15 Three Point Grader is ideal for maintenance of farm roads, can also be used for leveling irrigation fields, ideal for maintenance of fire breaks and is ideal for manure grading and pushing manure together. The blade can rotate 180° for backwards pushing.